Have you ever wondered why, no matter how hard you try to heal something in your life, the issue persists? As sons or daughters, we carry the residue of unresolved traumatic events and unprocessed emotions from previous generations. Usually they are those repetitive pattens that you have tried again and again to change or that debilitating emotions or symptoms that you have carried for so long that you have come to believe are yours. 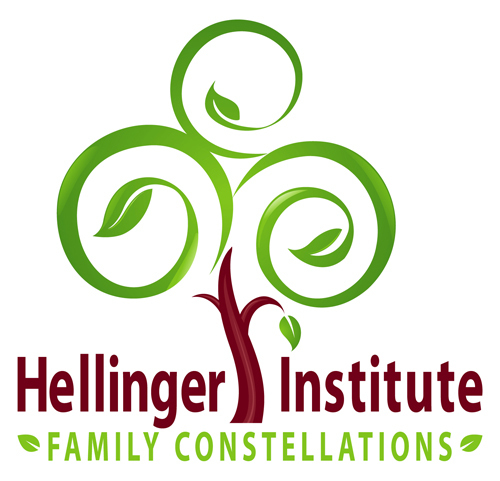 Family Constellations founded by Bert Hellinger bring to light the unconscious loyalties we carry that stem back from generations ago. Once the root causes are revealed, shifts can be life-changing as we free ourselves from them and live a more fulfilling life in areas that matter to us . I facilitate group and individual family constellation sessions as well as trainings in this powerful methodology in person and Online. Please contact us at contact@hellingerinstitute.com to reserve your spot or for more information. 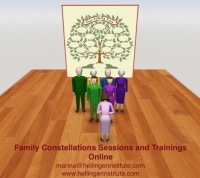 Are you interested in TRAINING in Family Constellations? We offer trainings in person and Online. Trained and certified by the source of this work, Bert Hellinger and Sophie after 17 courses in 4 years at Hellinger Sciencia in Germany. Marina has a BA HONS in Mass Communications and Political Science and studied Business Administration. She worked in the corporate world until she decided to pursue her passion and mission in life: to facilitate transformation for individuals and businesses to live a joyful and fulfilling life. Trained and certified in Family Constellations byBert and Sophie Hellinger and Hellinger Science (after 17 courses in 4 years in Germany as well as 9 other trainers worldwide, Marina believes that transformation occurs when our subconscious patterns are brought to light and aligned with our conscious mind. Marina is the founder of the Hellinger Institute in Toronto.